Support Stand for Asphalt Content Furnace - Gilson Co.
HMA-810 Support Stand provides safe, sturdy support and convenient positioning of HM-378 Gilson Asphalt Content Furnace in the lab. 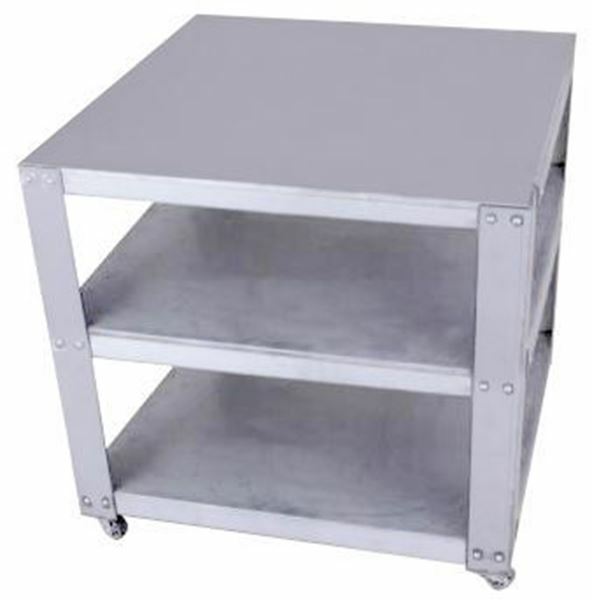 This all-steel stand is 32x32x31in (812x812x787mm), and has two storage shelves. The rolling stand allows easy positioning of the furnace in the lab and locking casters provide a stable operating platform.